The second season of one of the funniest shows on TV will be arriving sooner than we thought! Filling the void of Family Guy and South Park, Big Mouth was the kind of smart, funny, and disgustingly dirty show that kind of came out of nowhere with its first season and completely blew us all away with just how good it was. 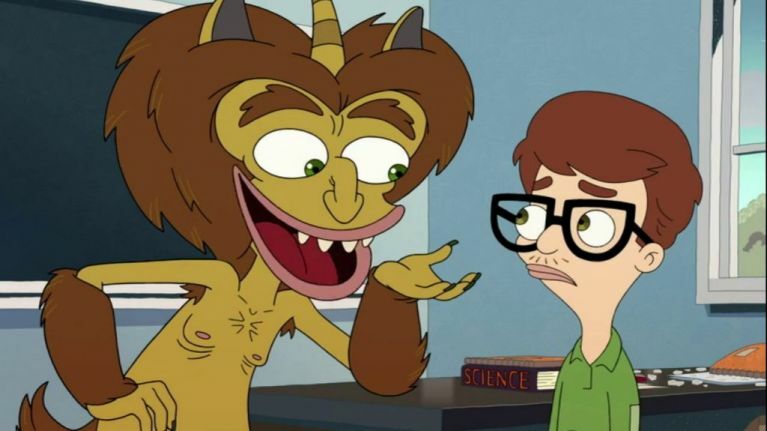 For anyone who needs a quick catch up, the show deals with the physical and psychological horror show that is puberty, which in this case includes both a Hormone Monster for the boys (voiced by Nick Kroll, who also voices the fictional teenage version of himself) and a Hormone Monstress for the girls (voice by Bridesmaids star Maya Rudolph). And then there's the rest of the voice cast, which features a very impressive line-up of some very funny people including John Mulaney, Jenni Slate, Jason Mantzoukas, Jessi Klein, Fred Armisen, Jordan Peele and Kat Dennings amongst others. The first season ended with the group in a bit of disarray, so we're looking forward to seeing how Season 2 brings them all back together again. Big Mouth season 2 kicks off on Netflix from Friday 5 October.